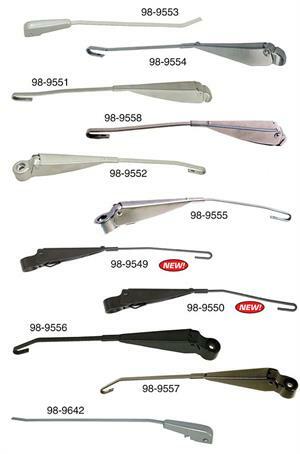 Wiper Arms for Type 1 Bugs, Sold each. Available for all years. Standard and Super Beetle. 58-72 Arms are usually Silver, 1971 on Super Beetles are usually Black Arms. Click more info to choose your year.